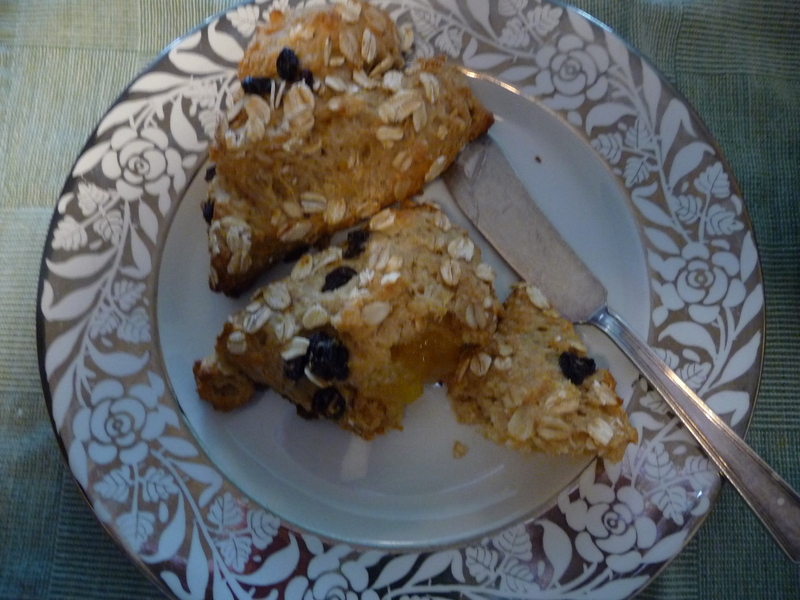 If you are lucky enough to find some currants at the farmers’ market, as I was today, treat them like the precious little jewels they are. These ruby pearls burst with color and flavor. Nigel Slater uses them to brighten a lentil salad, which sounds like a good idea. 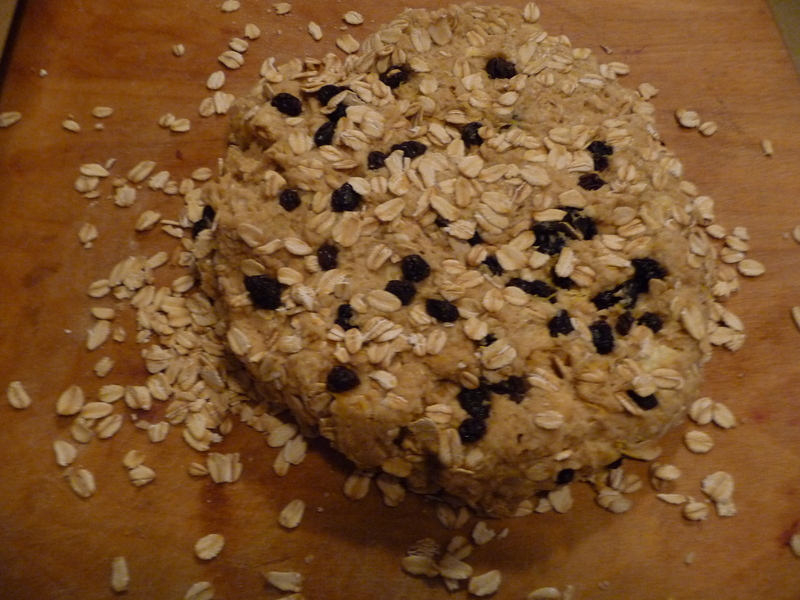 I haven’t tried it yet, but I am thinking of sprinkling some into my next bulgur salad — tomorrow! 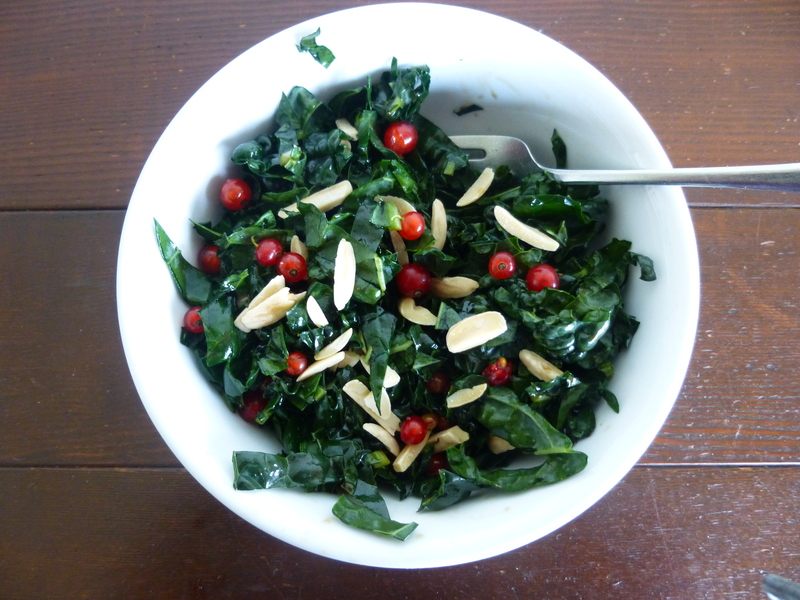 Meanwhile, since I’d also bought a nice bunch of kale at the farmers’ market, I made a chopped kale salad, dressed with olive oil and a sweet raspberry vinegar, and topped with toasted almonds and the fresh currants. 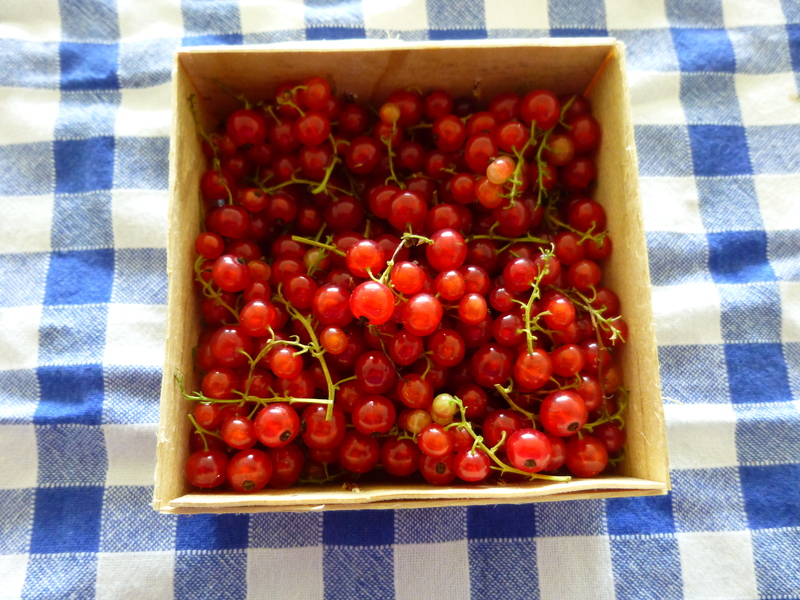 It tasted delicious and those ruby red currants looked very festive against the dark green. Christmas in June? It’s been a time of abundance lately, especially of the fruitful variety. 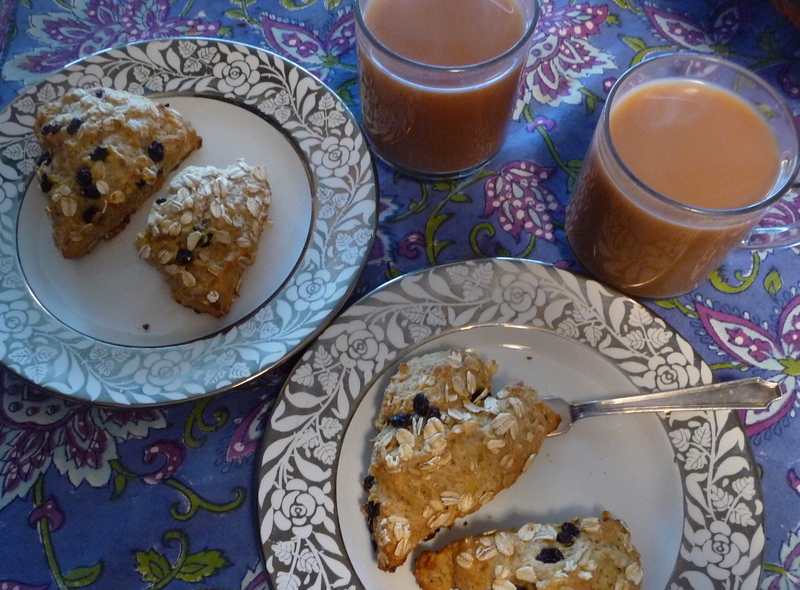 Right after my raspberry marathon, our neighbors invited us over for rhubarb crisp — and then gave me several pounds of rhubarb (I made rhubarb sauce, excellent with yogurt and granola). 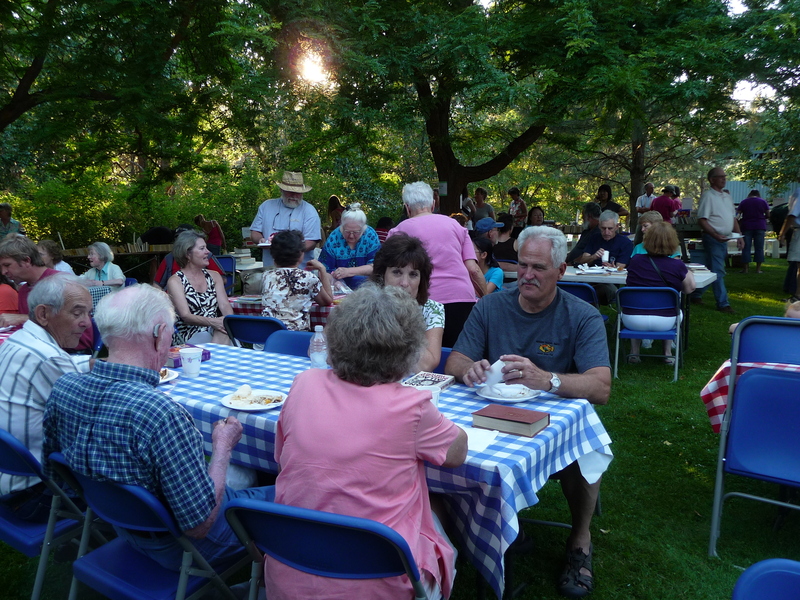 Then we headed over the mountains to the Peshastin ice cream social. Peshastin is a tiny town along the Wenatchee River, in the fruit country between Leavenworth and Wenatchee, Washington. It’s a delightful small-town community event where people buy cakes, pies, cookies, ice cream and coffee — and all the money goes to support the town library. A lot of the sweets were better to look at than to eat, but the cherry pie was tasty. Scott and Maggie let us sample the season’s early Red Hale peaches and then took us out to the cherry orchard to pick pie cherries to take home (and we picked some sweet cherries too — these were a late variety, Vans, in a year where everything is pretty late). 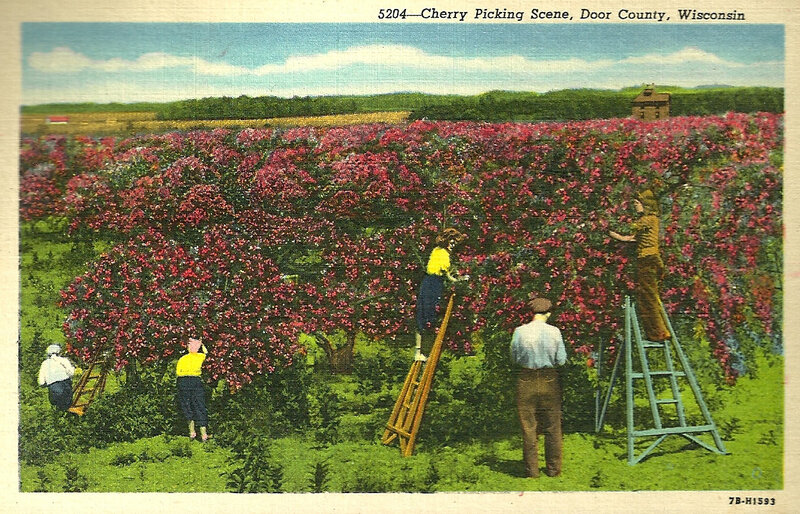 The cherry picking brought back memories of the many seasons that Rick and I picked cherries, traveling from Lodi, California, to Wenatchee, Washington, to Polson, Montana. And the pie cherries reminded me of childhood summers spent with my family in Door County, Wisconsin, where we went to community fish boils and ate cherry pie for dessert. 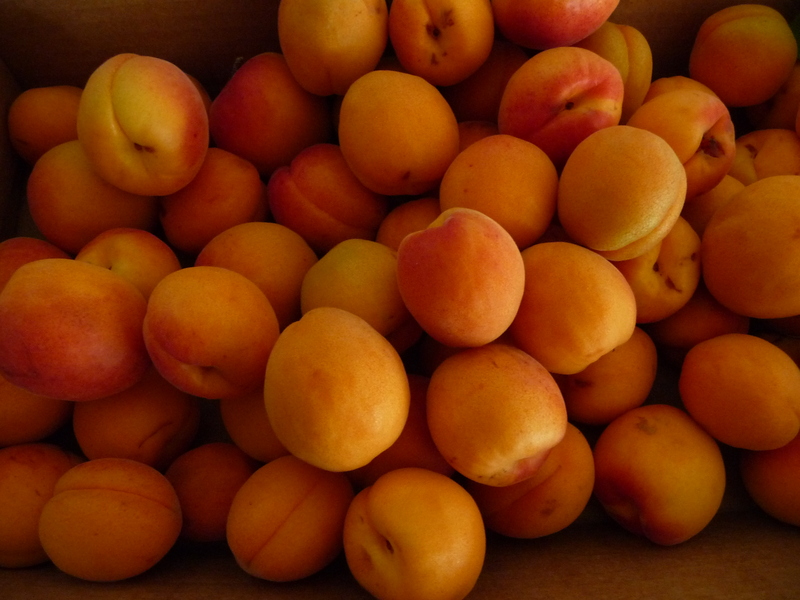 Next: apricots! 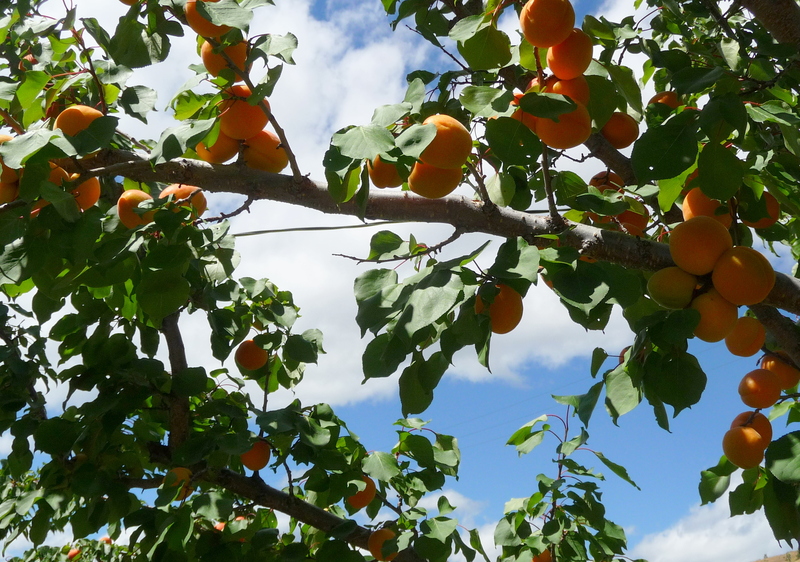 Rick let us pick as many apricots as we wanted from the prolific tree behind his house. It only took minutes to fill a couple of boxes. 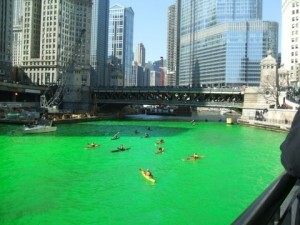 And greens. Laurie made us pesto and vegetable salads and gave us bunches of kale and chard from her garden to take home. 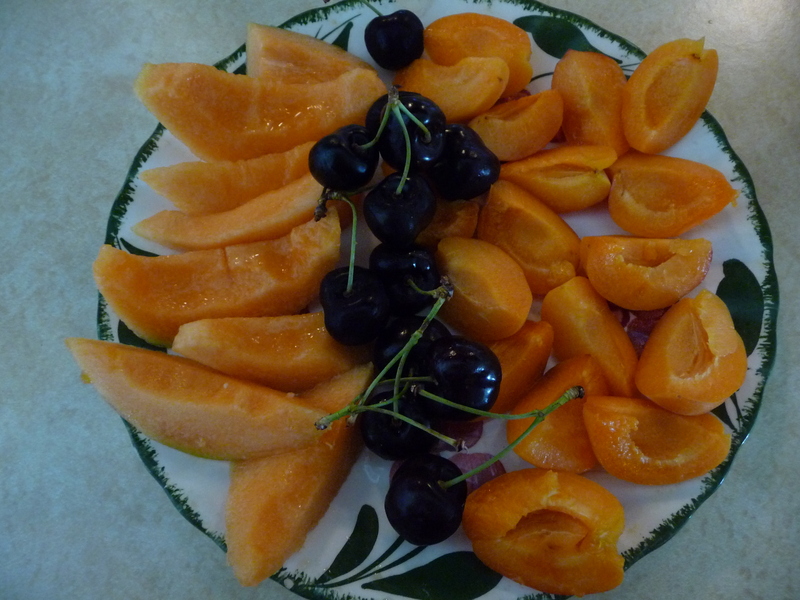 I cut and dried most of the apricots and we ate the rest fresh (I meant to make apricot butter but never got to it.) 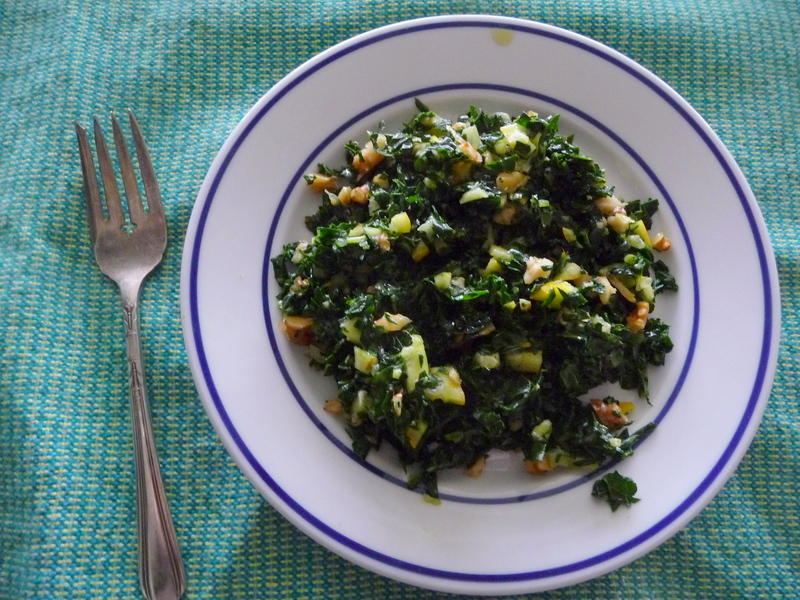 I sauteed the chard with garlic and made kale salad (more about that soon) with fresh apricots and toasted walnuts. 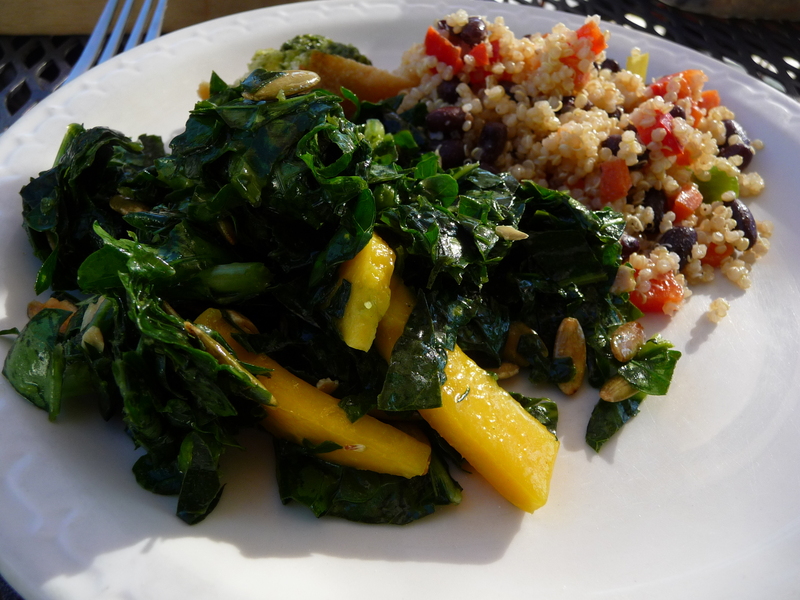 Laurie made a delicious salad with lemon-treated kale and mangoes. 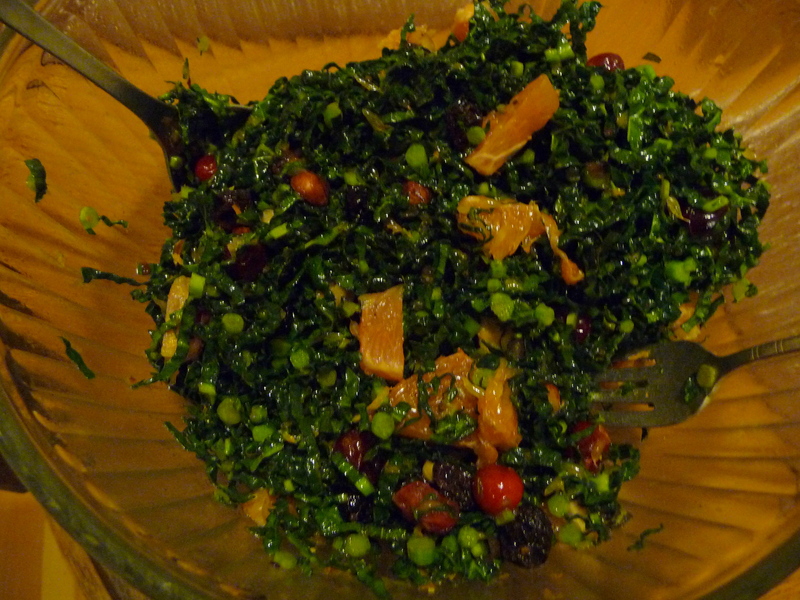 Laurie told me about “massaging” kale with lemon to make it as tender as cooked greens, without the cooking. This is the same process of “cooking” with acid that is used with ceviche — but I didn’t know it’d work with greens. 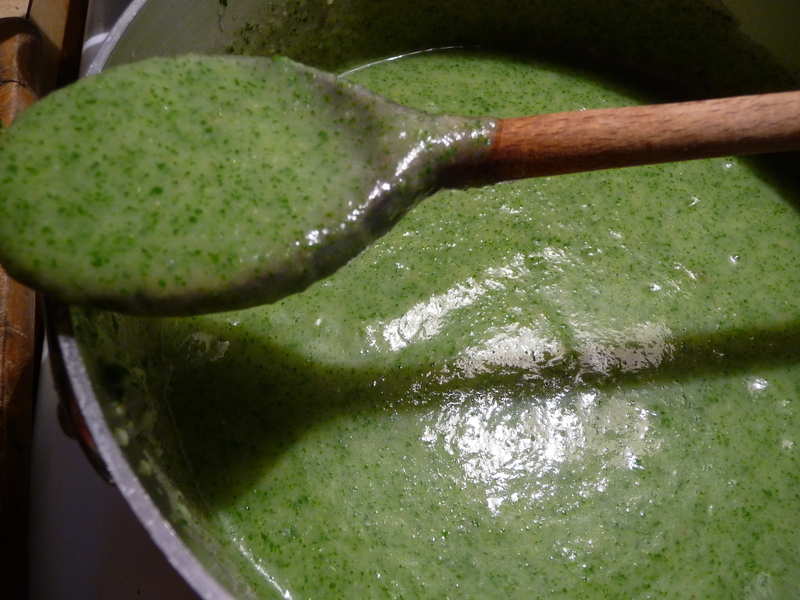 You just use the juice of a lemon or two with a bunch of kale, mixing or massaging the juice and the torn or shredded leaves with your hands. It really transforms them. Another lemon miracle. 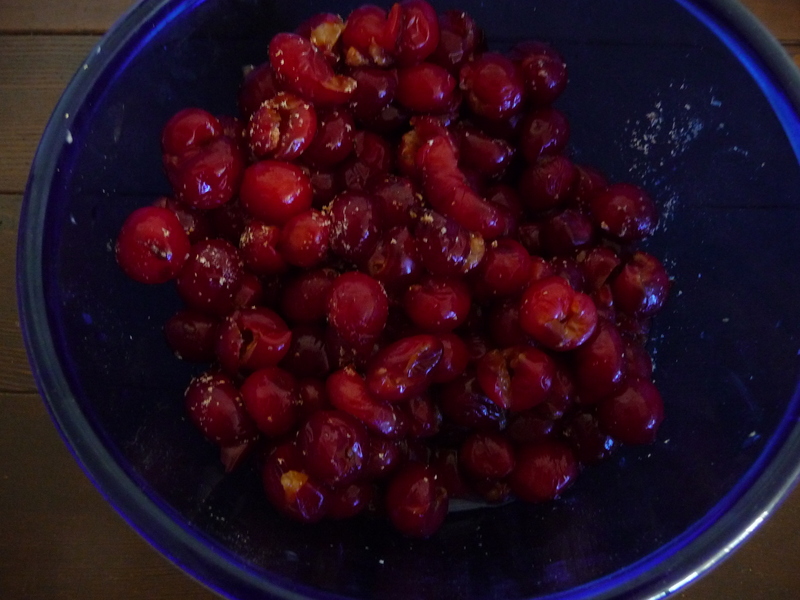 Maggie suggested drying the pie cherries. 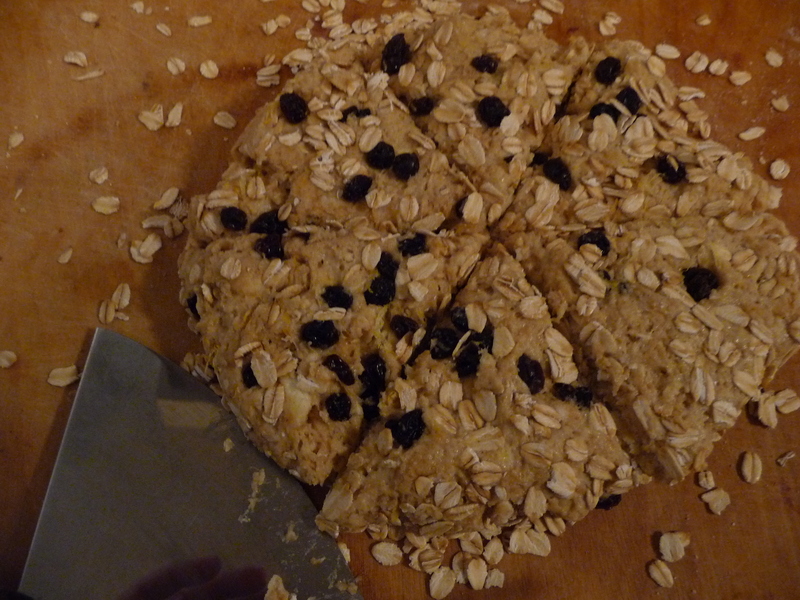 They took a while in the food dehydrator, but I really like the tart-sweet result. 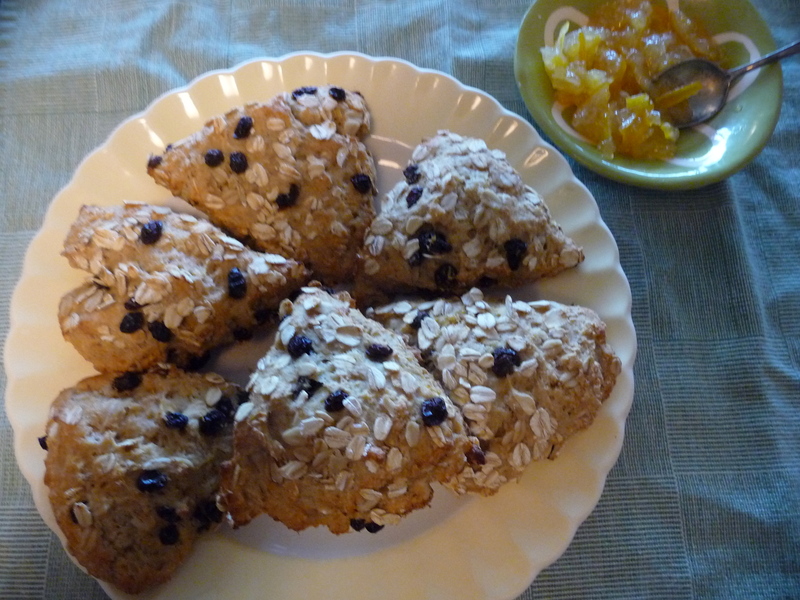 I’ll be using them in my granola or cookies in place of dried cranberries. Aviva told me that her friend Hannah uses a paperclip to pit pie cherries. It works! 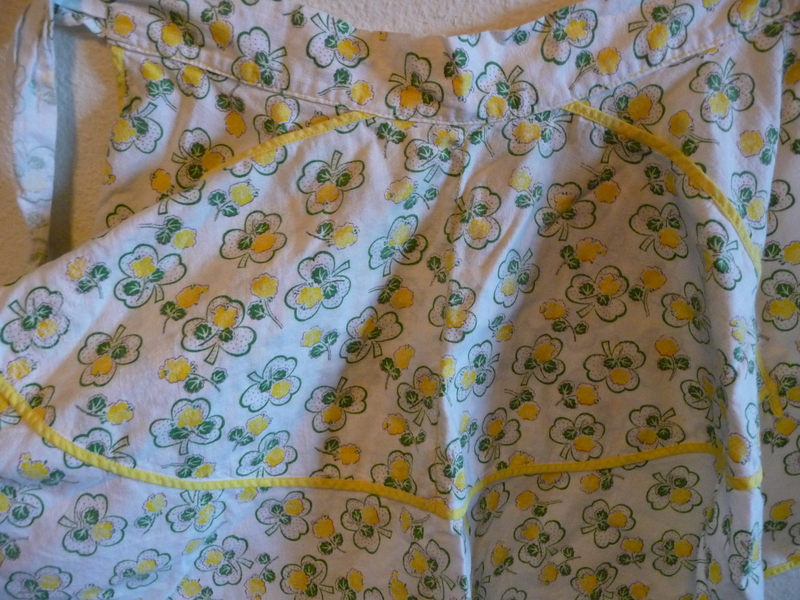 You just unbend one side of a large wire paperclip and use it to pry the pit from the cherry. 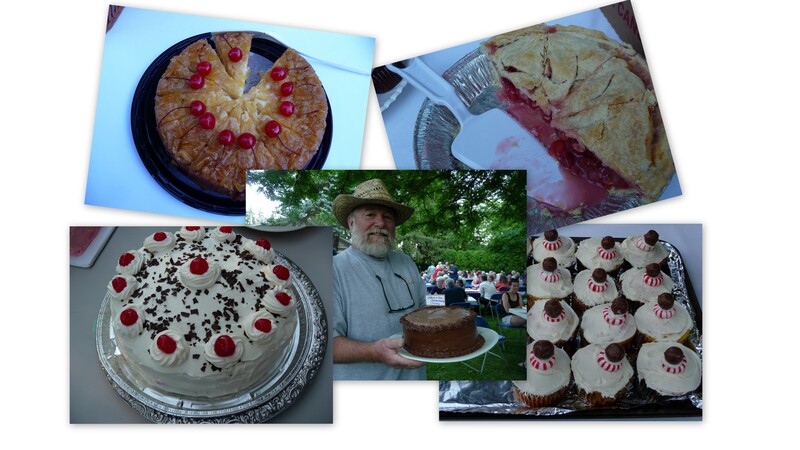 As I pitted the last of the pie cherries to put in the freezer–perhaps to make a more indulgent cherry pie this winter–I thought about how grateful I was for the abundance of food and friends. 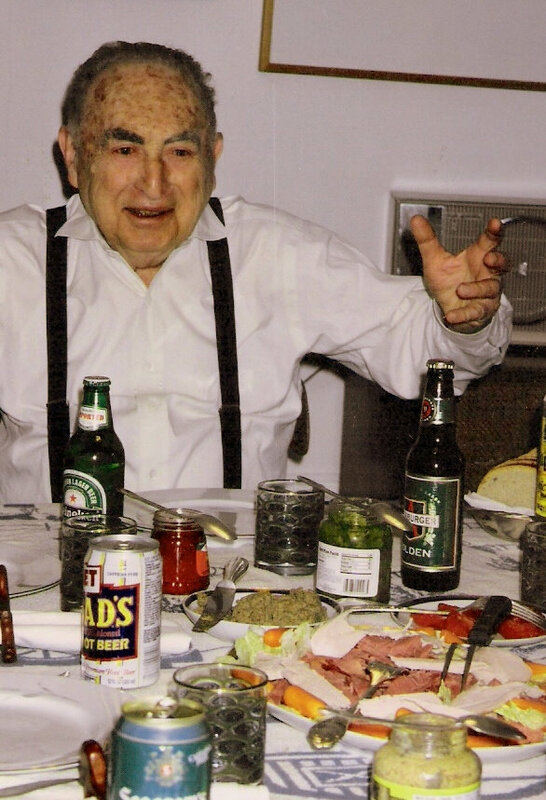 A final thought: A jarring contrast to all this plenty is the famine in the Horn of Africa. I don’t want to be preachy, but charities are having a really hard time getting adequate donations. If you can help, Unicef and many other charities are doing good work trying to prevent millions of children from starvation. Thank you.